If you want plants that come to flower quickly and provide a long season of blooms, choose annuals. They are among the most adaptable of garden plants, demanding little more than good light, sufficient water, and reasonably fertile soil. Even if your conditions fall short of this ideal, you will likely find annuals that will work for you. In fact, some of the most striking annual gardens are found in what would appear to be the most inhospitable sites. Our two greenhouses are stocked with beautiful blooming annuals. Here on the Cape, our peak season for annuals is April through June, but many will continue to bloom and delight throughout the summer. 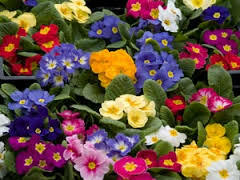 Our annual selection begins in mid March with primrose, pansies and alyssum and goes through fall with ornamental peppers and cabbage. We also carry a wonderful selection of planted pots and hanging pots, brimming with fuchsia, million bells, begonias, to name just a few. We'll help you design your own gorgeous pots by offering a seasonally inspired recipe card for our monthly container design. Our selections come from local growers and some we grow ourselves. 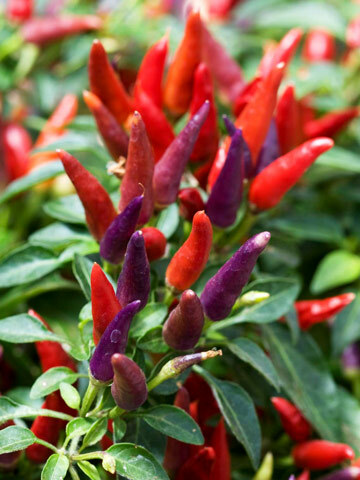 We take extra care to ensure that they are hardy, healthy, and ready for your gardens. 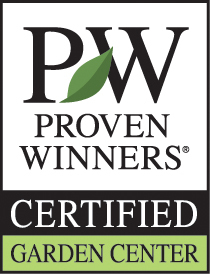 PineTree Nursery and Landscaping is a certified grower of Proven Winners. Perennials dictate the look, the style, and the attitude of a garden. We strive to provide our customers with a full range of perennials to compliment any style or garden setting. From the garden staples of impatiens and daylilies to hottest plants of the season we aim to please with our huge selection. We seek out the rare and unusual specimens as well as the standards. We usually have the best selection of specific perennials when they are in bloom around town (for example, Crocosmia ‘Lucifer’ in August). In summer and fall our selection of ornamental grasses is extensive. From Asters to Zebra grass, come rediscover an old favorite or be inspired by something unexpected and wonderful. Commonly called Switchgrass, this variety is very easy to grow and will enhance any sunny border with its refined, garden-worthy appearance and habit. This warm-season perennial grass has slender blue-green foliage and spreads slowly to form erect clumps about 5 feet tall. In late summer, the foliage is topped by a haze of showy, finely-textured flower panicles that rise to 6 or 7 feet, and matures to offer golden fall color. The foliage and plumes are prized for flower arrangements. Best in full sun, adaptable to almost any soil, remarkably drought-tolerant, once established, and like most ornamental grasses, Panicum virgatum ‘Northwind’ is seldom eaten by deer. Zones 4 – 10. 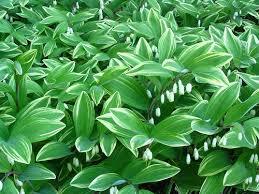 Variegated Solomon's Seal offers vivid highlights in shaded areas of borders, woodland gardens, or naturalized areas. The arching stems carry pairs of small, bell-shaped, white flowers in mid to late spring. Their sweet fragrance will enhance that walk along a pathway on a spring morning. The variegated ovate leaves are soft green with white tips and margins, and can be attractive in flower arrangements. Fall leaf color is yellow. It is a great companion plant to other shade lovers including hostas, ferns, and astilbes. Grow 18 to 24 inches tall and spreads by rhizomes to form colonies. 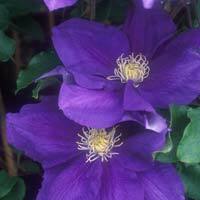 Does best in moist, well-drained soil in partial to full shade. This is a very easy perennial to grow and will enhance any shade garden, especially a more natural one. Zones 3 to 8. 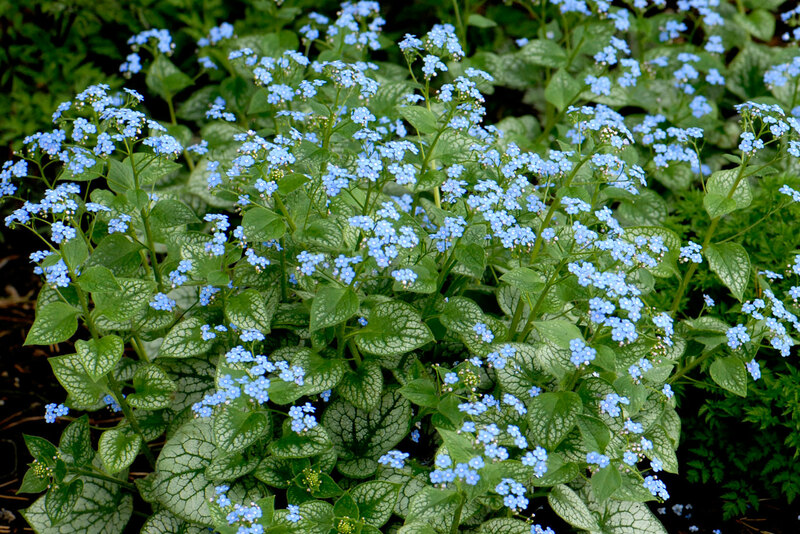 Brunneras are treasured for their shade tolerance and early clusters of baby-blue, forget-me-not like flowers. ‘Jack Frost’ has enchanting silvery leaves with green venation and a thin green margin. It grows 18 inches tall and 18 inches wide in a mounded form. Plants thrive in the shade but will tolerate morning sun if the soil conditions remain moist. Excellent in a container, or can be combined with other ground cover perennials such as hostas and ferns. The silver foliage lights up a dark garden from spring to fall. The rough leaf texture makes this perennial less palatable to browsing deer. Zones 3 to 8. This perennial produces 3 seasons of wonderful color; light blue flowers in spring and summer atop wonderfully colored green foliage followed by a golden-yellow color for fall. It will be an asset in borders, native gardens, cottage gardens or open woodland areas. Best when massed and mixes well with ornamental grasses and plants with attractive seed heads. Great as a cut flower. 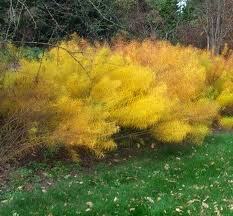 Thrives in full sun to part shade in average, moist, well-drained soil. Will tolerate drier conditions once established. Grows 3' tall, 4' wide. Zones 4 to 9. 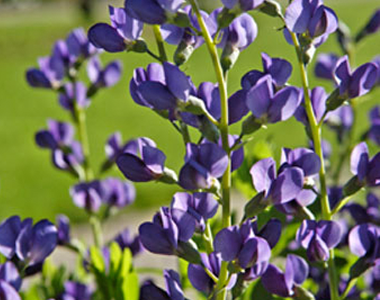 Blue false indigo grows 3-4 feet tall and 3-4 feet wide in an upright habit. This exceptional perennial grows across a wide range of zones and is one of the most adaptable native species. 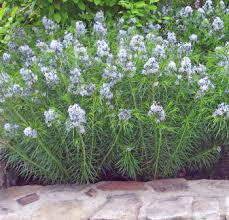 The common name, blue false indigo, refers to the use of this perennial by early Americans a s a dye. Newly emerging shoots produce violet-blue, lupine-like flowers in erect 10- to 12-inch racemes atop flower stems extending well above the foliage mound of clover-like, trifoliate, bluish-green leaves. The spring flowers are present for three to four weeks. The flowers give way to inflated seed pods which turn charcoal black when ripe and which flower arrangers consider to be ornamental.